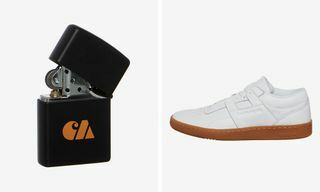 Those stand-out, head-turning prints and experimental garment cuts might be what grabs the attention of street style photographers, but there’s a distinct difference between fashion and style. 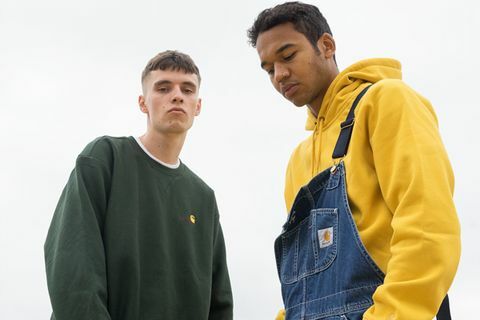 At the heart of any stylish man’s wardrobe are a selection of essentials that form the foundations of any steezy ’fit, and though it’s easy to skimp on said basics, some solid investments from OG workwear label Carhartt WIP. 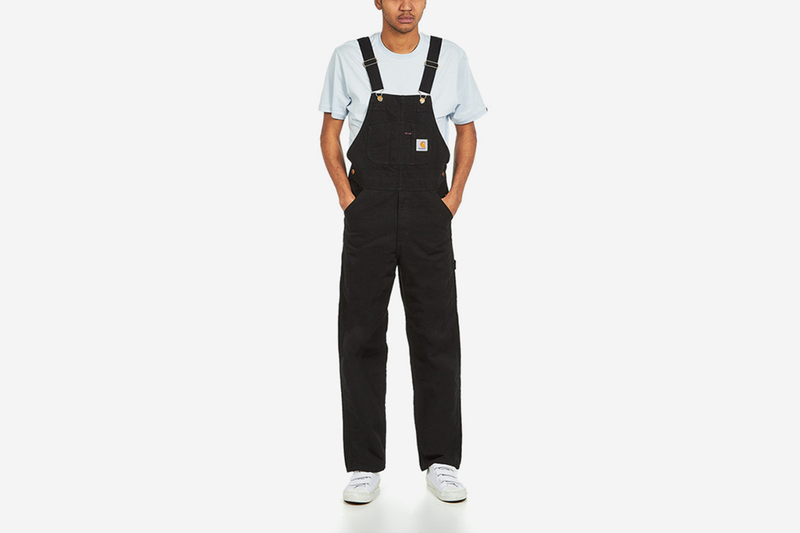 From slick, button-up shirts and simple logo tees to transitional essentials such as pullovers, canvas coats, and overalls, few brands do simplistic, quality staples quite like Carhartt WIP. 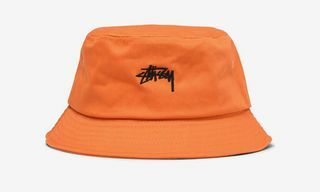 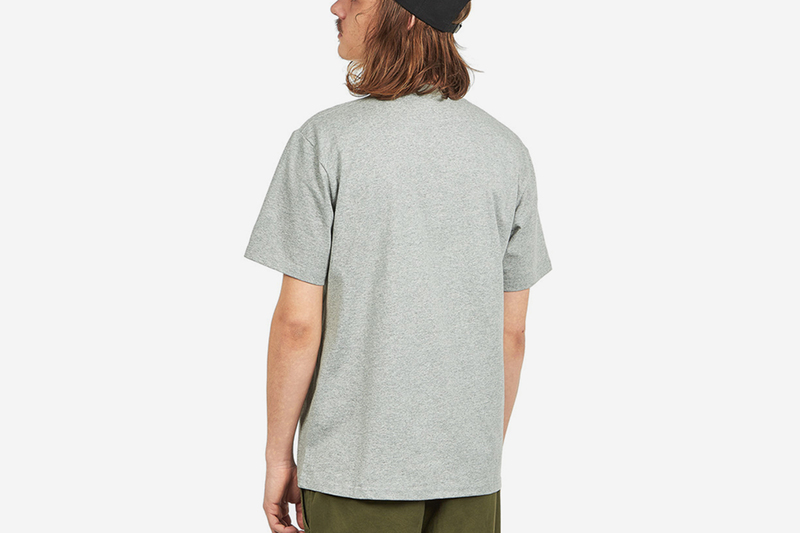 With one of the best selections we’ve seen at Berlin-based global retailer HHV, here we’ve brought you 10 essential pieces to build a casual wardrobe for all occasions, which you can build on with those more statement streetwear ops from the likes of Wood Wood, and Stüssy – both also stocked at HHV. 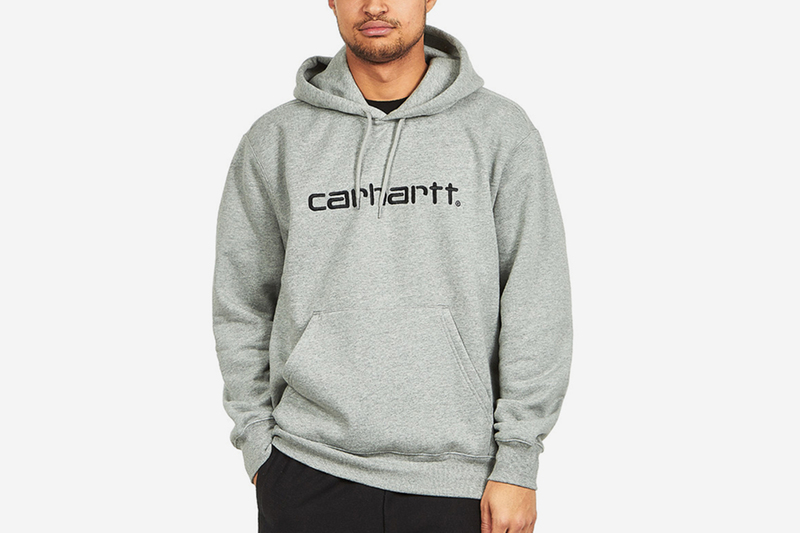 Scroll on to start shopping a Carhartt WIP only capsule wardrobe. 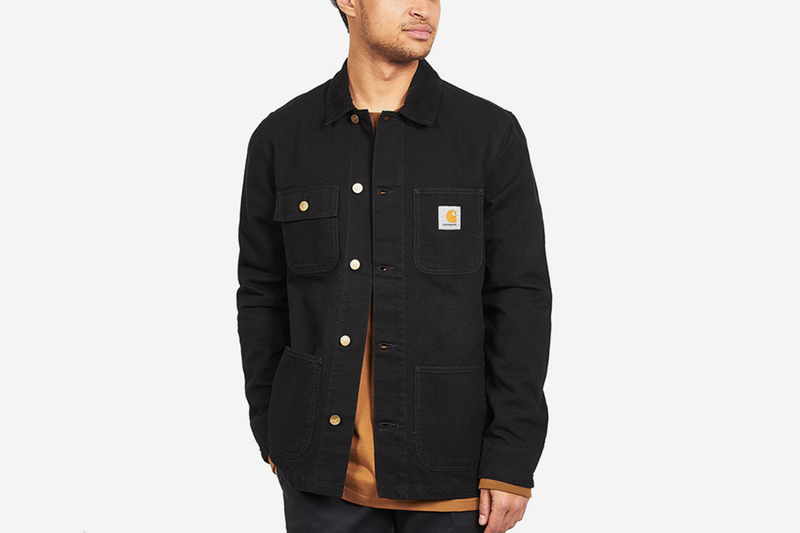 For a high-quality, off-duty cap that’s less than $30, look no further than this corduroy Carhartt WIP number. 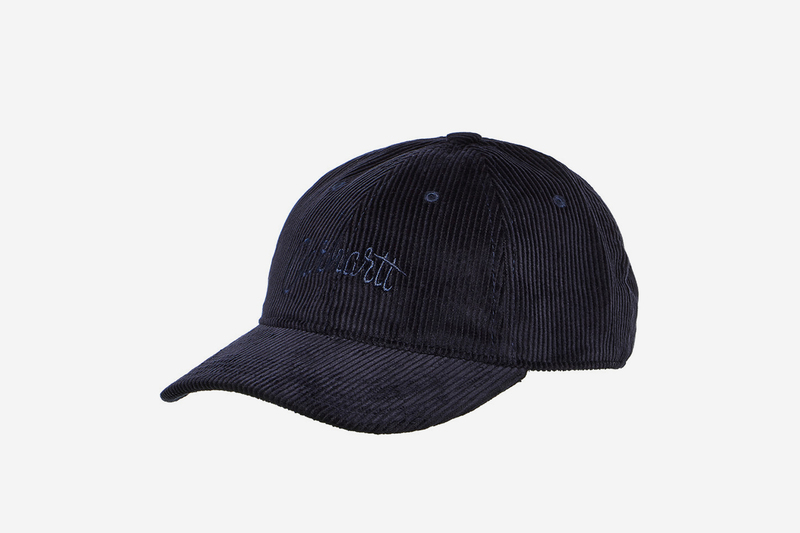 The deep navy coloring makes for on-point headwear year-round, elevated further with tonal lettering embroidered on the front. 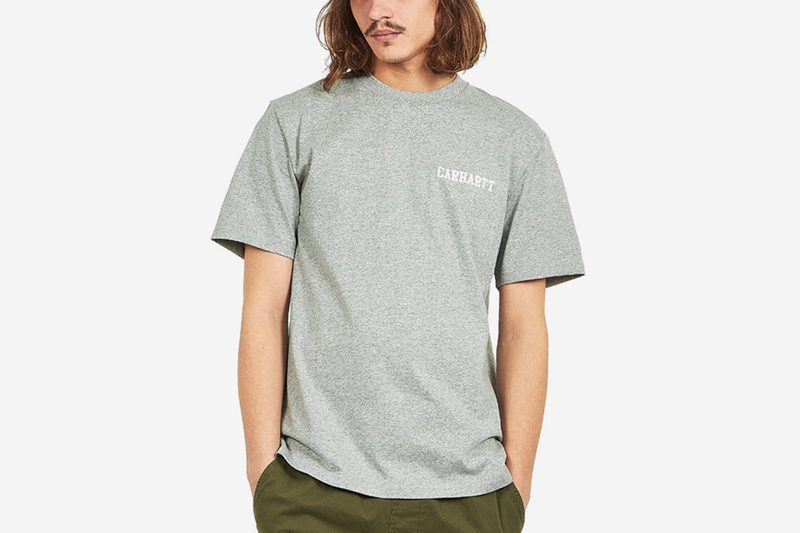 When the star of your ‘fit is the pants, sneakers, or accessories, Carhartt WIP’s college-script T-shirt makes for a quality low-key top, which delivers on fabric weight, a quality ribbed crew-neck collar, and subtle but steezy branding. 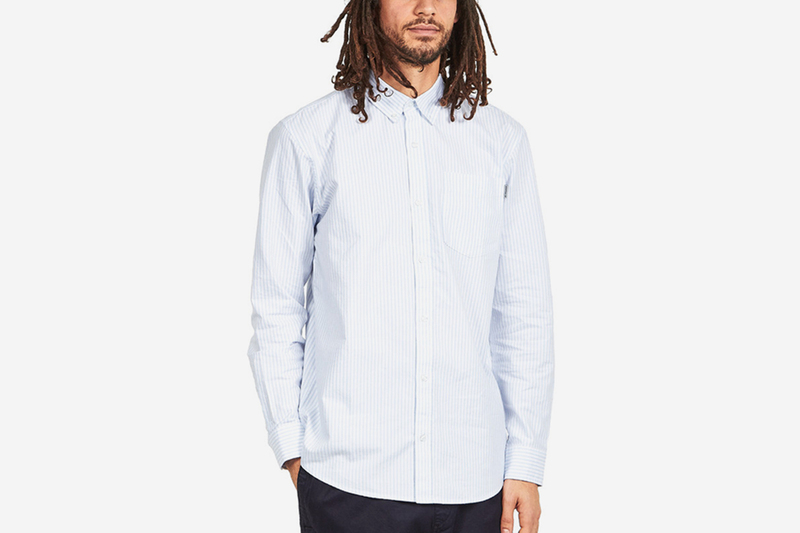 The versatility of Carhartt WIP’s Karev shirt knows no bounds. 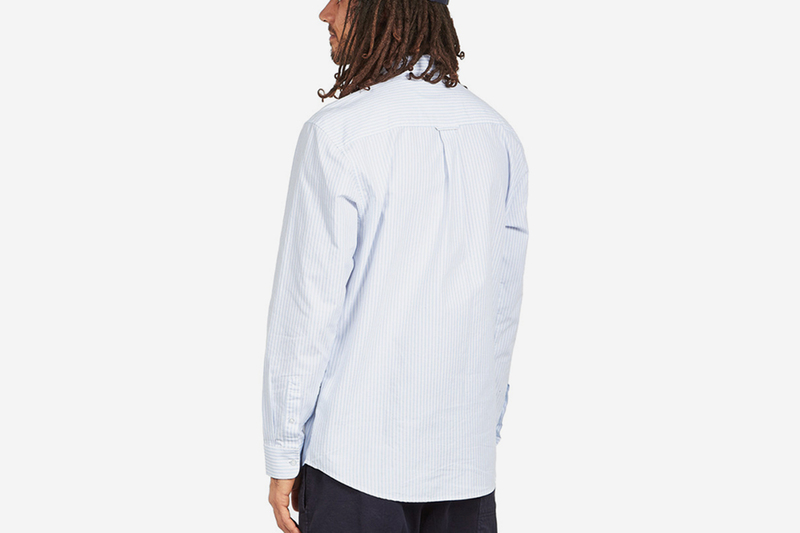 Done out in a woven vertical light blue stripe, button-up for smarter occasions, unbutton for casual summer ‘fits, or layer under a crew-neck when the chill rolls in. 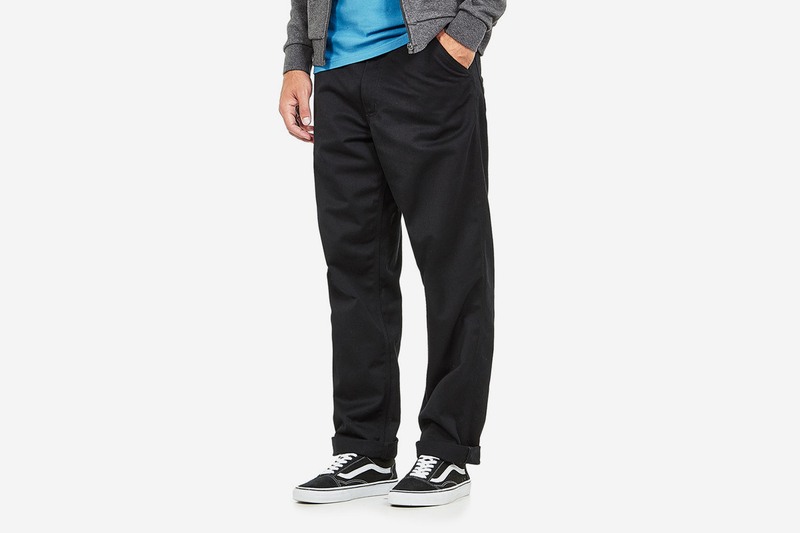 The Denison pant is that pair you want to wear every day, sporting a minimalist design that’s totally timeless. 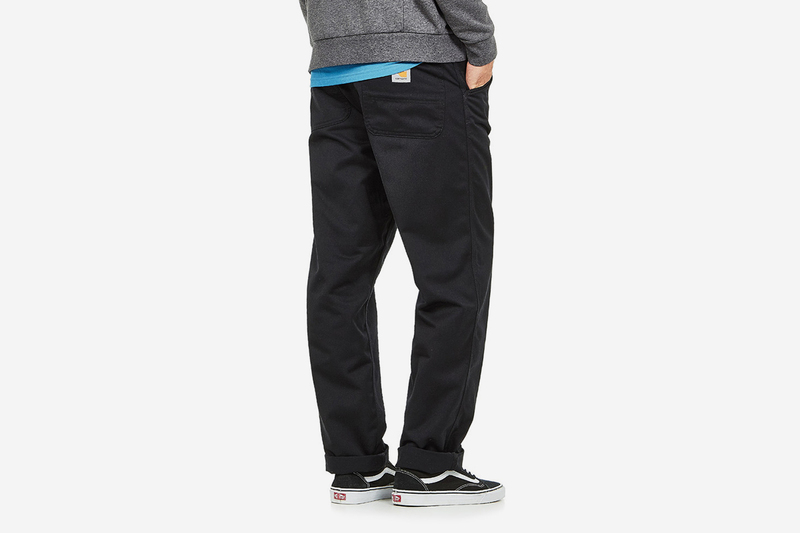 Peep the woven square Carhartt WIP label on the right back pocket, too. 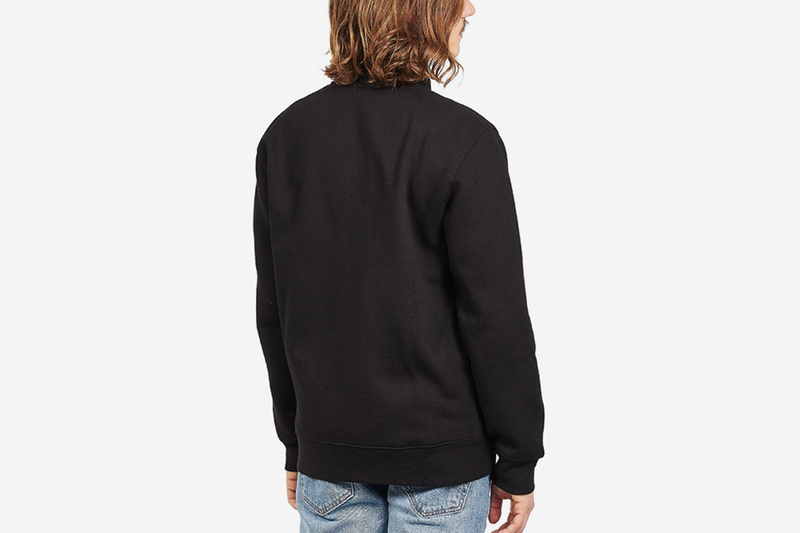 The crew-neck is low on our sweater pecking order right now, long live the zip sweat! 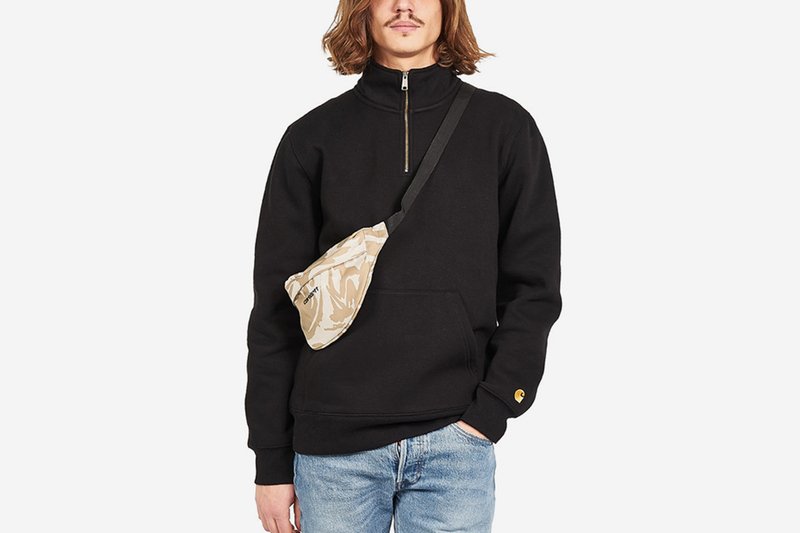 A casual alternative to the turtle neck, this trusty black number makes for a layering piece that can be worn year-round. 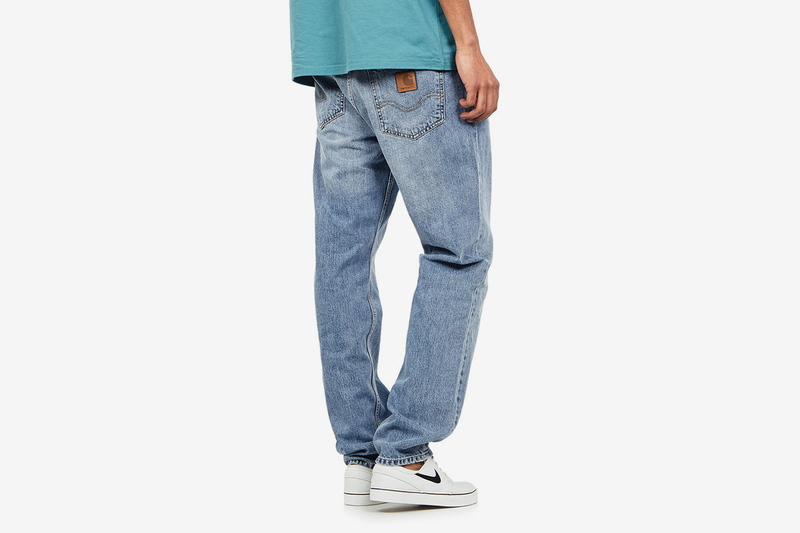 Every man needs a pair of blue jeans, and for a pair that hits the relaxed fit right in the sweet spot between smart and scruffy, the Edgewood is a no-brainer. 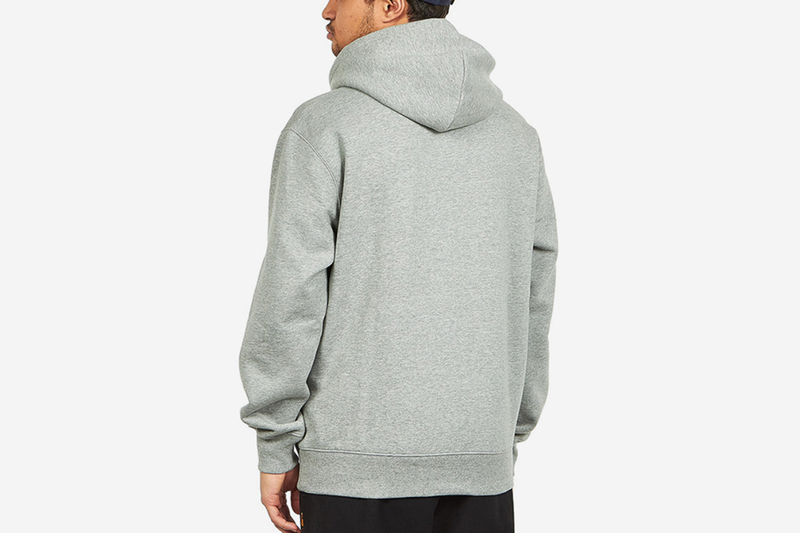 Bigger on the branding this time, this grey hoodie (something every man needs at least one of) comes with bold script logo embroidery at front and center. 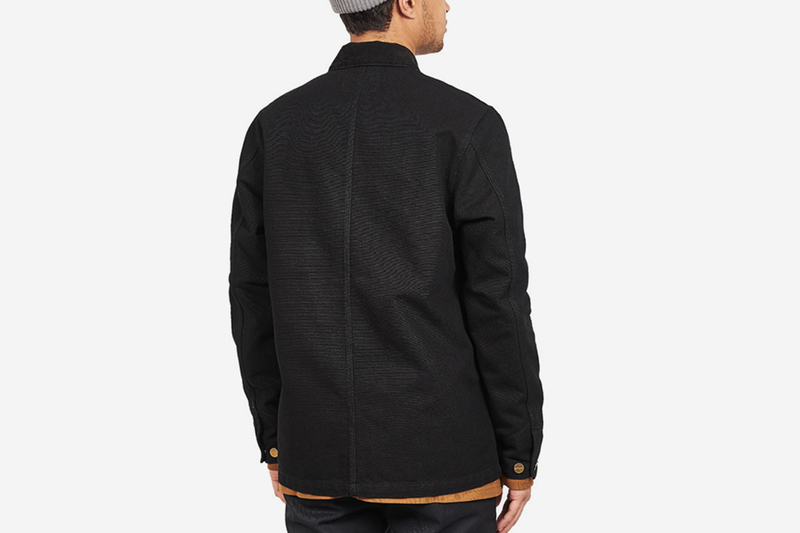 A workwear essential, the Michigan canvas coat is the perfect transitional jacket for Spring. 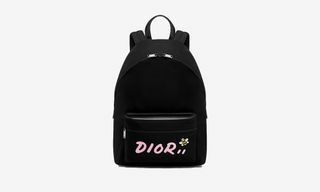 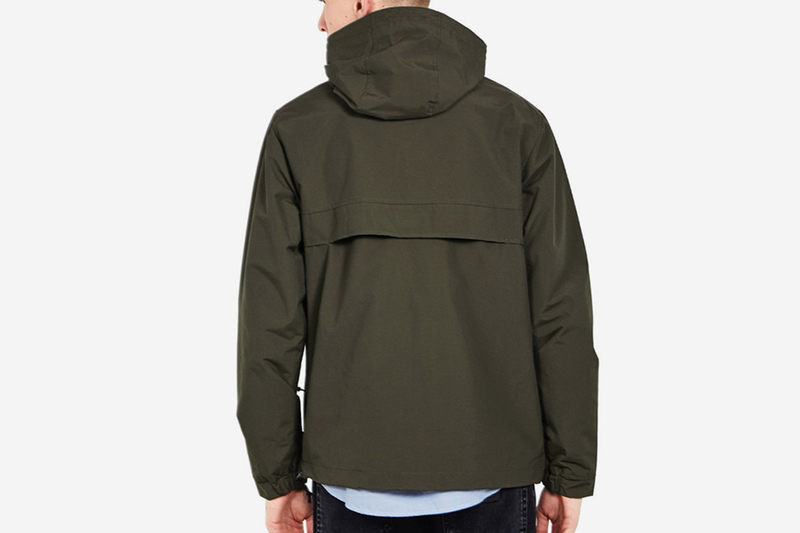 It comes in a lightweight yet sturdy composition, with more than enough pockets to leave your side bag at home. 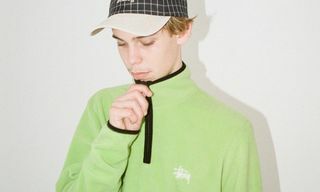 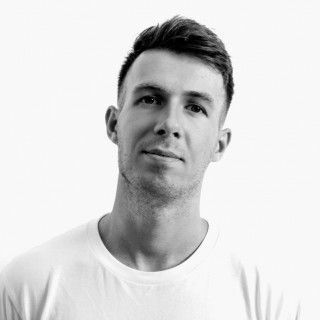 Pullovers are essential for the festival season and those warmer days it’d be wise to at least carry around an extra layer. 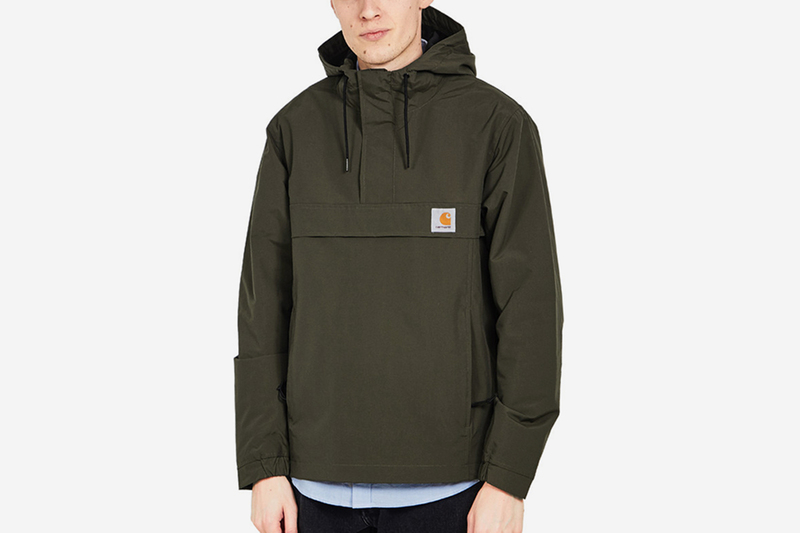 Carhartt WIP’s Nimbus jacket comes in a Teflon-coated Nylon Supplex and will go with pretty much everything. 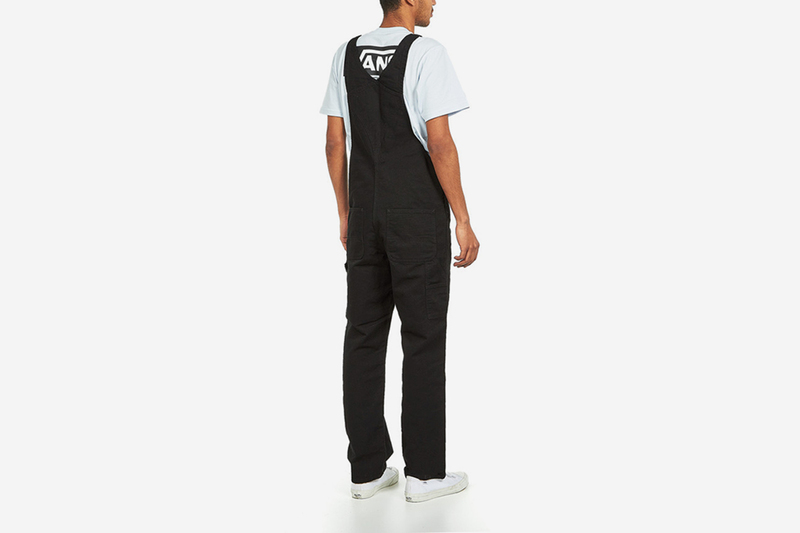 Love them or hate them, Carhartt WIP’s Bib overall is a workwear icon. 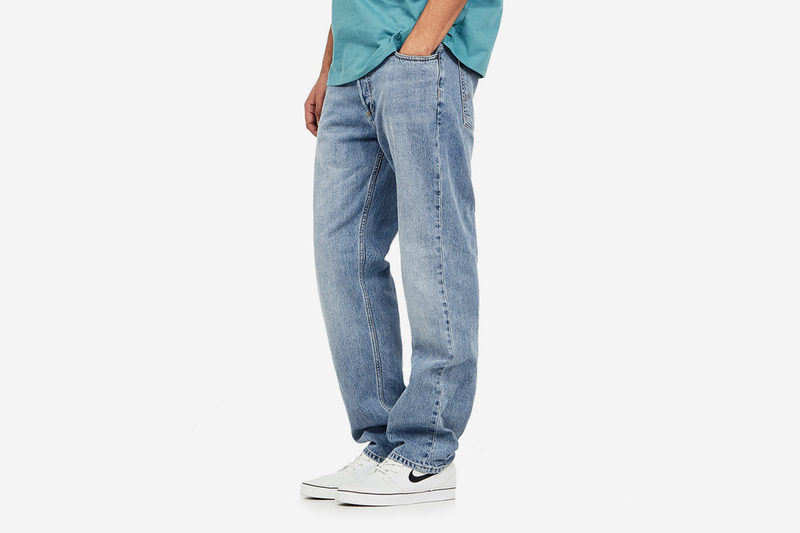 Made out of Dearborn canvas, it’s equipped with a three-compartment denim patch pocket on the bib and a nice, tapered leg for smart silhouettes.